Sammy's The Rumble Fish fighting game is now available through Highway Entertainment and is ready for immediate shipment. 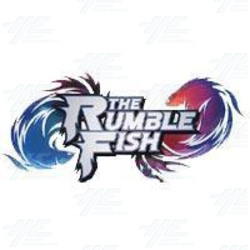 The Rumble Fish pits two players against each other in a battle for survival. Each fighter has their own fighting style with a variety of moves and their own story arc. The game features S.M.A Smooth Model Animation System, which enables varied graphic changes depending on the situation such as tearing clothes and falling hats. The system also allows backgrounds and graphics to vary to suit battle conditions. Because of this System, this 2D fighting game boasts graphics that allow smooth movement equivalent to that of 3D fighting games. Click this link to view the product description.